JHA contracted my studio to design and develop their new brand from scratch. Thanks for the kind review Derek. It was equally our pleasure to work with another high level creative professional such as yourself. 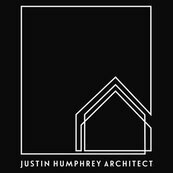 I engaged Justin Humphrey Architects to plan and design a complete internal renovation utilising the existing structure of our family home. It has been my pleasure working through your design with you. Thanks so much Leonie & Brad for your positive feedback. What a project to work on together and what an amazing result! Fantastic to hear how much you guys love your new home Tracey. It was my pleasure to have shared such an amazing journey with you. Its always great to work with equally passionate creative people. Thanks so much Mel & Tim. It was fantastic to get to know your family and work through the renovation of your beach house with you. I'm happy to hear you love your new home.